Guru Nanak Jayanti marks the birth of the founder of Sikhism and the first Sikh guru, Guru Nanak. Born on April 15, 1469, at a Bedi Kshatriya family in Rai Bhoi di Talwandi village, now in Pakistan, Guru Nanak is one of the ten celebrated Sikh gurus who helped in shaping Sikhism. Known for his wisdom and spiritual teachings, the words of the saint are registered in the form of 974 hymns in the holy texts of the Guru Granth Sahib. 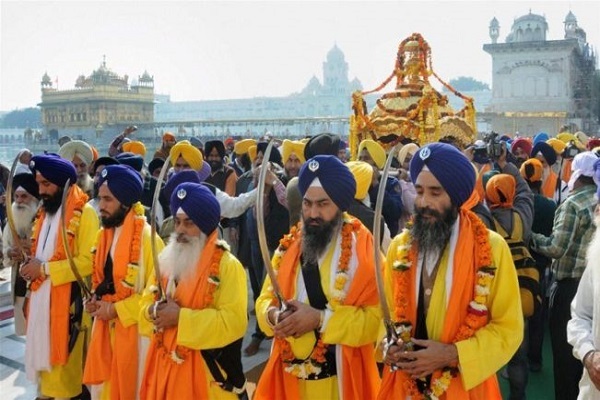 People believe that the spirit of Guru Nanak Dev descended upon each of the nine subsequent Gurus. To commemorate his birth, followers around the world set out for early morning processions (prabhat pheri). They sing hymns throughout the day to remember him and his teachings. Some organisations donate clothes and essential items to the poor and serve food to people – poor and rich alike – as they celebrate this day. With Guru Granth Sahib being read continuously for 48 hours, the celebration of the guru’s birth anniversary begins two days prior to the actual date. His teachings are known to have touched the lives of many. While this festival is celebrated in the entire nation, it is quite special for people who belong to Punjabi or Sikh community.